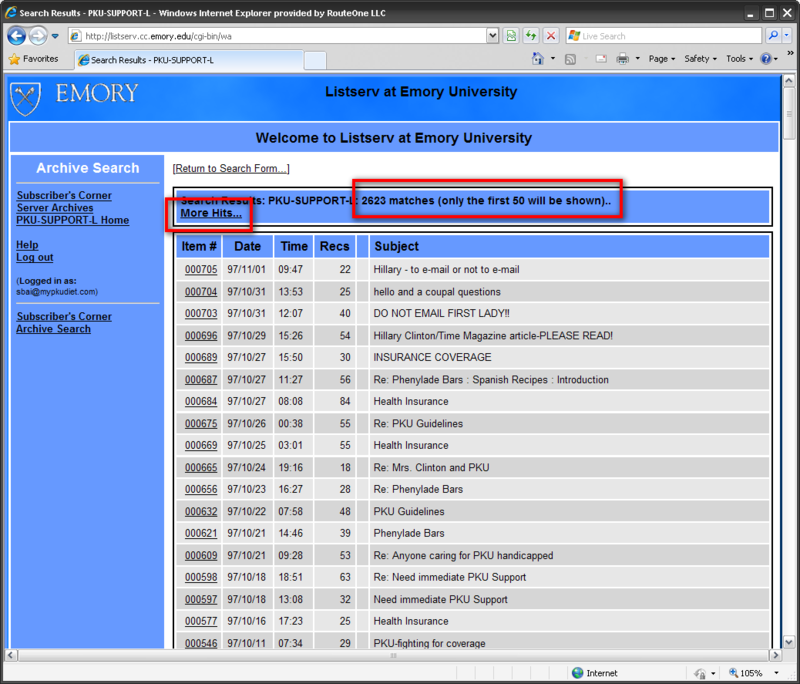 For those of you that are new to the PKU support mailing list, it is hosted by Emory University and has been the primary vehicle for communication among families of children born with PHENYLKETONURIA (PKU), for young adults with PKU, and for professionals treating PKU. This mailing list is used by the PKU community to share information about managing PKU, PKU diet, recipes, low protein foods, cooking tips, legislation & insurance and information about other support groups. 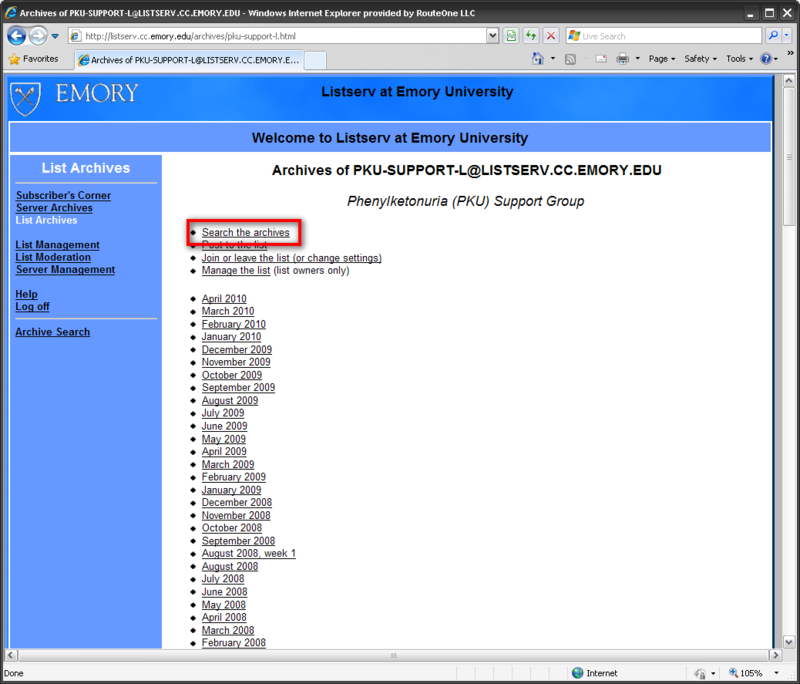 This document describes how to register with Emory’s Listserv so to access the PKU support list archive on the web, and to use their web site to perform search on the PKU support mailing list archive in a much user friendly way. 2. 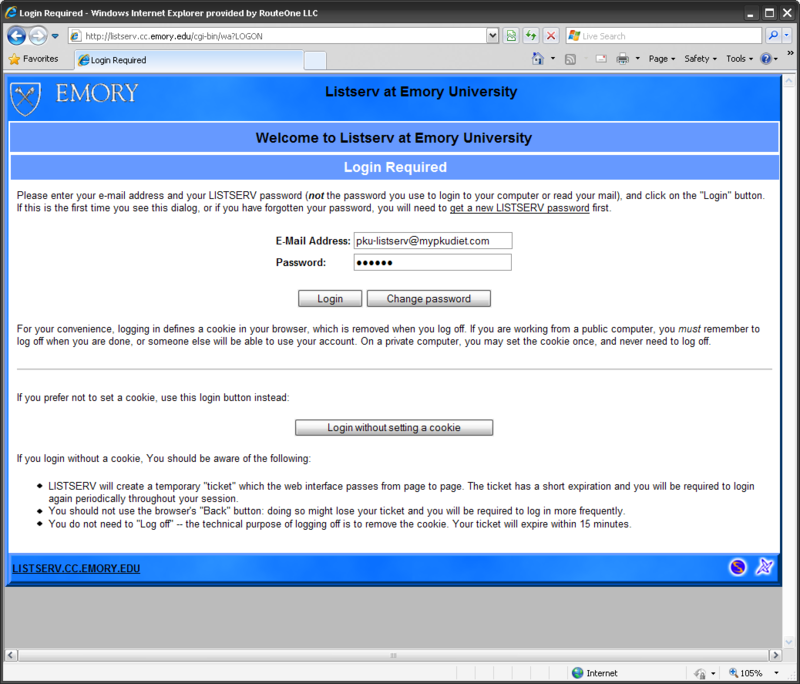 On the login page, click “set a new LISTSERV password”. 3. 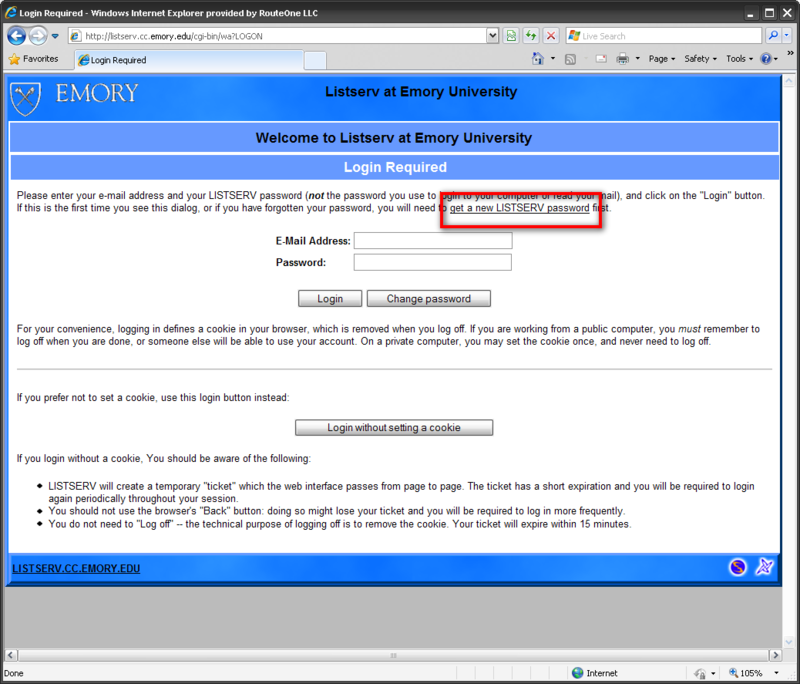 Once you are on the “Registering you LISTSERV PASSWORD” page, enter the email that you used to subscribe the PKU-support list. This is also the email that receives PKU mailing list’s postings. 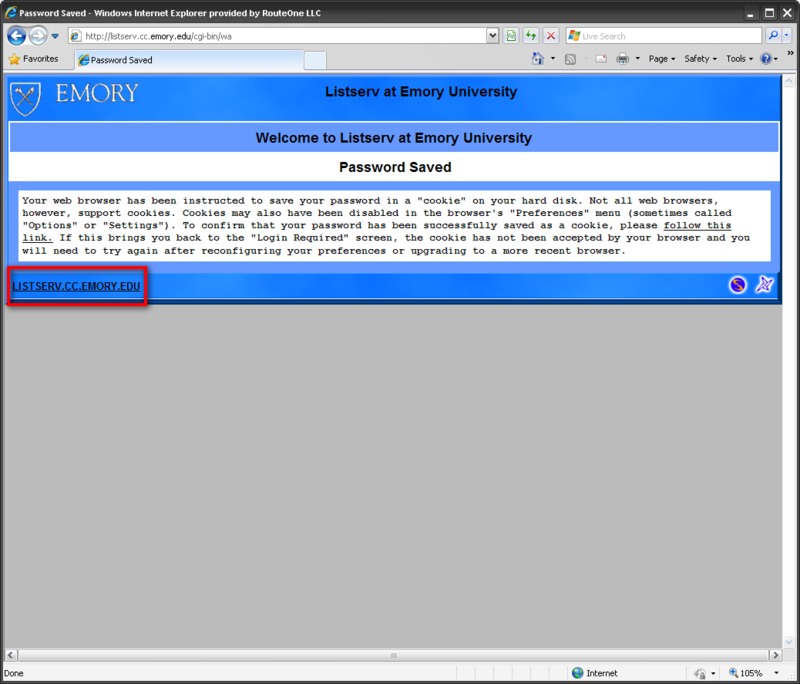 Enter password that can be anything you like, then click “Register Password” button to accept. 4. 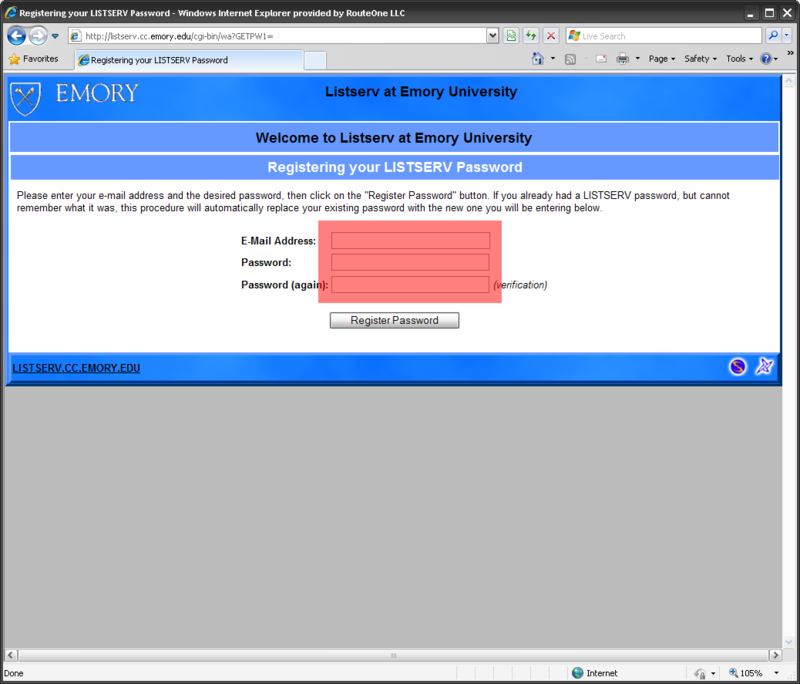 Once you successfully set up your password, head back to the login page and enter you username and password before clicking the “Login” button. 5. 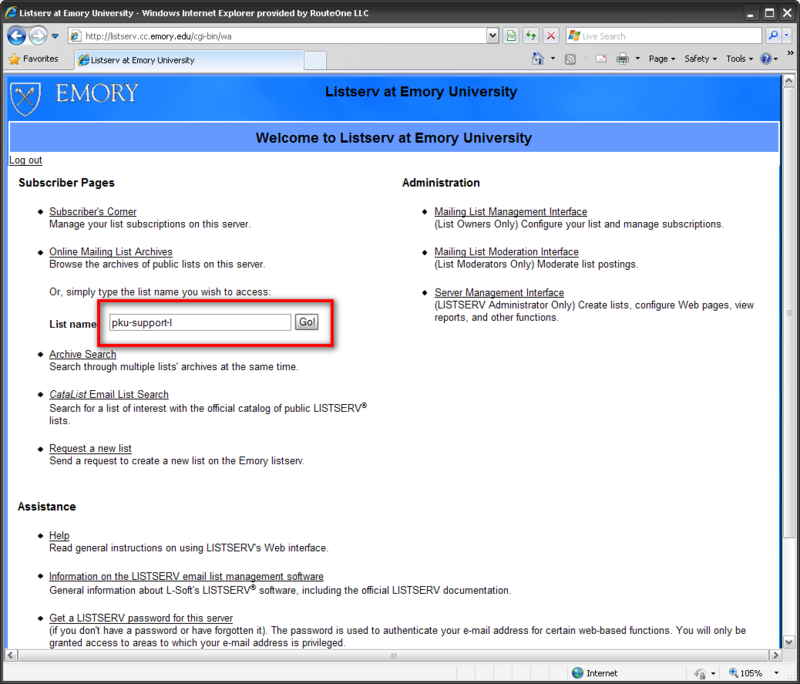 Once your login is acknowledged, click “LISTSERV.CC.EMORY.EDU” to go to listserv’s landing page. 6. On listserv’s landing page, enter the PKU mailing list’s official name “pku-support-l” into the List name field then click “Go”. 7. You are now on the PKU Support Group’s mailing list page. 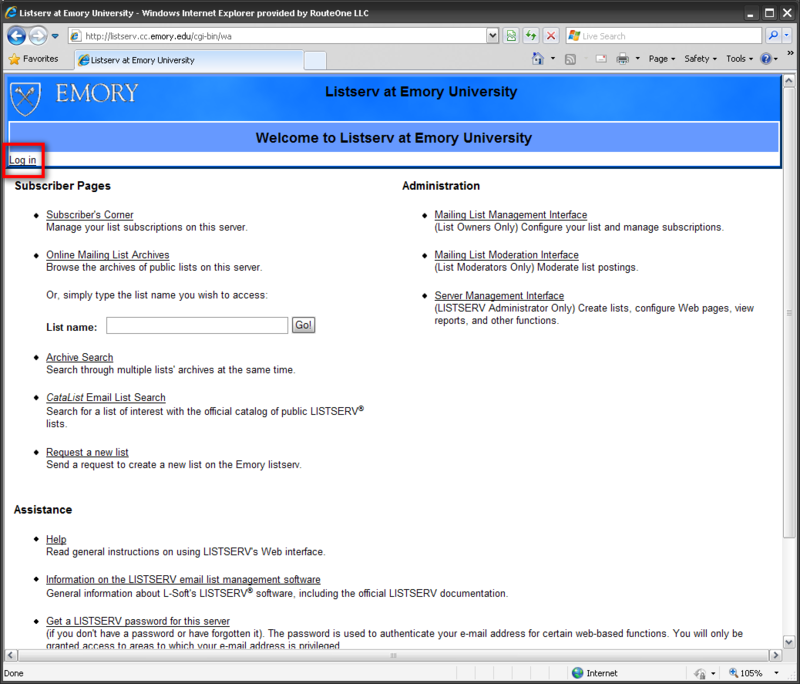 This page documents all the archives for this mailing list date all the back to 1997. 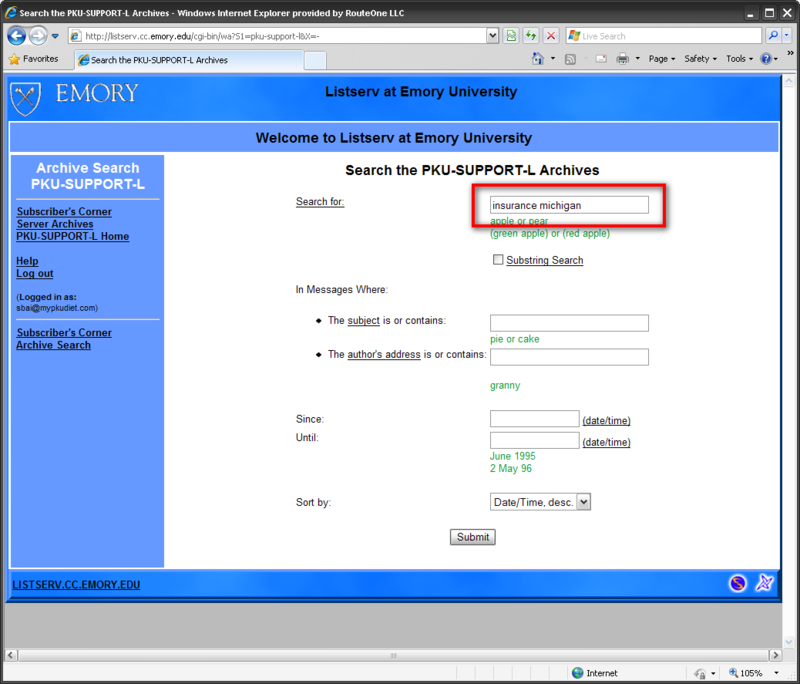 To perform a search on a specific topic, click “Search the archives”. 8. Enter the search keywords in the “Search for” field, for instance “insurance new york”, then click “Submit” button. It will take a while when the mailing list is performing the search. On the search page, you can also add additional constraints to better refine your search results. 9. One the search is completed, a list of result summary will be presented from the latest to the oldest in a table format followed by detail of each post. It is highly possible that your search has too many results that need to be broken into multiple pages. 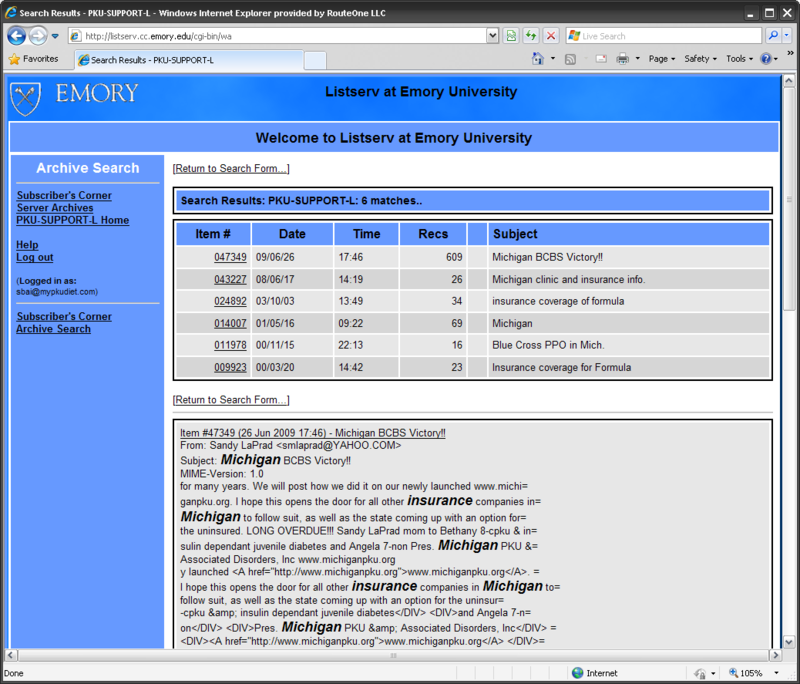 In that case, you can browse through each page of results using the navigation button provided below the table.